IK Multimedia is proud to introduce iRig Keys I/O, the new breakthrough keyboard controller range featuring a built-in audio interface. It will be available in October 2017 and is now open for pre-order. 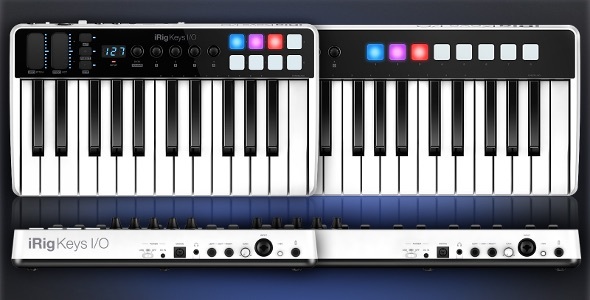 The only keyboard controllers with 25 or 49 full-size keys to integrate a professional high-definition audio interface, iRig Keys I/O features 24-bit audio up to 96kHz sampling rate, a combo input jack for line, instrument or mic input with phantom power, balanced stereo output and high quality 1/8″ headphone output ideal for use with the latest Apple® devices like the iPhone® 7. iRig Keys I/O also includes all the controls users would expect from a premium keyboard, including velocity sensitive multicolored pads and programmable touch-sensitive sliders, buttons and knobs in an ultra-portable package that includes everything needed to create complete music productions and is unmatched for speed and simplicity to connect and set up. If you can’t be along the actual solar eclipse path, then watching it live stream is the next best thing from NASA Eclipse central and you can watch it all below. The pre-show starts at noon ET. If you decide you want to look up, then make sure you take the necessary precautions. Experts have said looking at the eclipse without the right eye protection, except when you have totality (when moon is completely covered*), can have an impact on your eyes lasting from moments of and days of discomfort to permanent eye damage. Be safe! Read full post and access video at Canoe Tech Blog. EcoXGear known for their outdoor products has launched EcoLantern a new portable light and speaker. It’s tough and rugged, ideal for the outdoors, and it’s totally 100% waterproof. The new offering features five brightness settings and multiple light modes: bi-directional control, dimmable, multi-colour for partytime and if needed, emergency flashing. Despite being only total 10.4” tall still puts out a respectable 400 lumens with 360-degree light. Read more…at Canoe Tech Blog. IK Multimedia teaser…all-in-one music production..what is it? 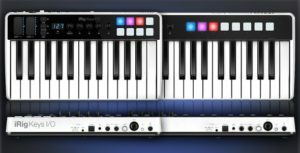 IK Multimedia’s is telling everyone they’re coming out with a whole new meaning of plug and play with an all-in-one music production station that goes anywhere you want. About five years ago I discovered an amazing little gadget called Rock-it! which using vibrations, could turn any hard surface into a speaker. Fast forward to 2017 and those good vibrations are even better as iHeadBones has just unveiled the R949 Cyclist Headset which actually uses your own cheekbone to transmit sound directly to your inner ear. Read more…at Canoe Tech Blog. 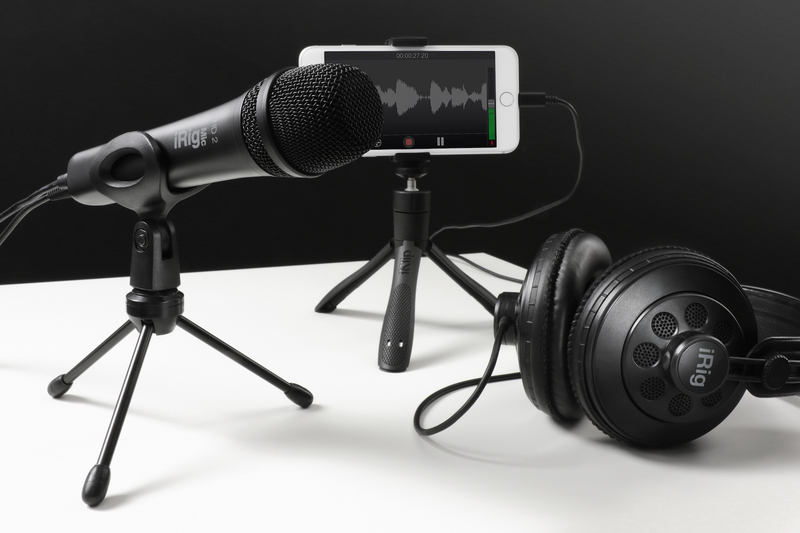 August 10, 2017 – IK Multimedia has just announced iRig Mic HD 2, the successor to the highly acclaimed iRig Mic HD, is now available for pre-order. iRig Mic HD 2 is designed to put all the power of high-resolution digital audio into the hands of singers, musicians, interviewers, broadcasters, presenters, podcasters, and vloggers who are looking to capture pristine mobile recordings anywhere with remarkable ease. Johann Pascual had an epiphany noticing that while cellphones were getting bigger and bigger most people’s hands were not and that caused some difficulty for some people. So he invented Ungrip, a little gadget that adheres to the back of any sized smartphone allowing you to easily grip your prized device with comfort and care. Now before you start quoting Capt. Obvious, the reality is that a larger phone means a higher chance of dropping it, a common occurrence particularly when taking Selfies. And haven’t you noticed how many of those phones aren’t even in a protective case Read more…at Canoe Tech Blog. 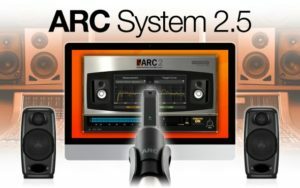 IK Multimedia has just announced that ARC System 2.5 with MEMS microphone is now available for shipping. 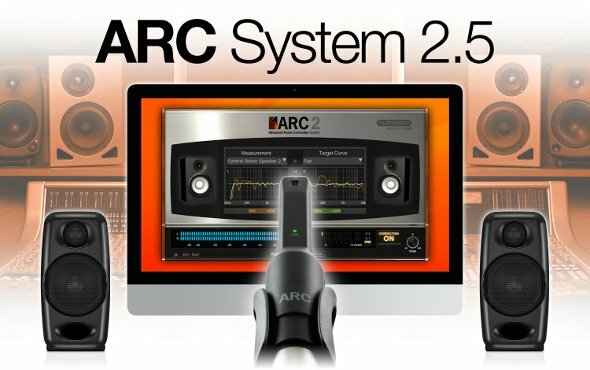 Version 2.5 of the Advanced Room Correction System combines a new highly accurate MEMS measurement microphone, measurement software together with an audio correction plug-in for Mac/PC DAWs (Digital Audio Workstations) and employs Audyssey MultEQ XT32 patented technology to greatly improve the audio monitoring accuracy of speakers in any studio or listening room. I can honestly say I’ve never fallen off a hoverboard, but then again, I only took one for a test drive once and someone was holding me for part of the way and when I finally decided to go solo I barely put the pedal to the metal. Now should I have truly revved it up, for lack of a better term, my feet and the hoverboard would surely have parted ways. Read more…at Canoe Tech Blog.